Ola everyone! Trying something new/different for today’s Elbeef post – a hair tutorial! 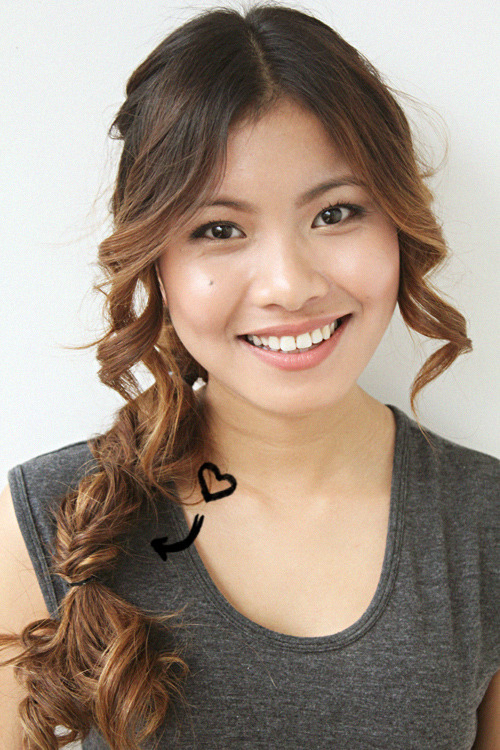 If you read my Come Clean post, then you’d have an inkling of why I’m hair tutorial-ing all of a sudden. 2. 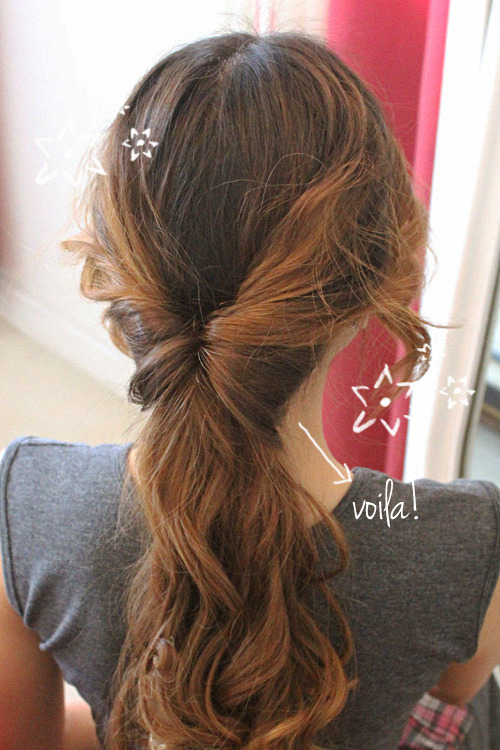 The Waterfall Step: Take the upper portion of your ponytail (just above the rubber band) and part it in the middle. 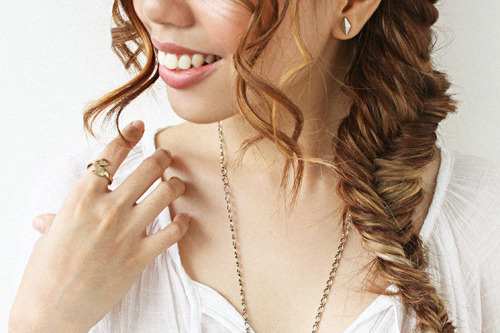 Then, take the lower portion of your ponytail (AKA THE TAIL) and loop it over the parted upper portion. And tadah! 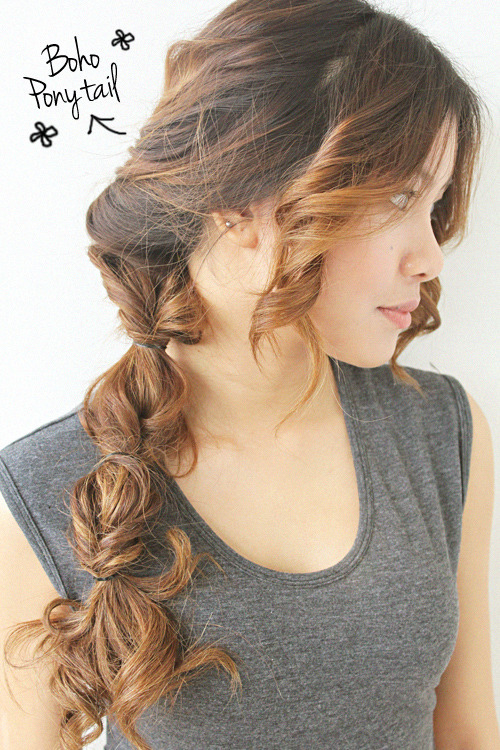 After the parting and the looping, this is what your hair should look like. Isn’t it pretty already? You can actually stop here and call it the…Pretty Waterfall..Tail (WHUT! LOL!). 3. 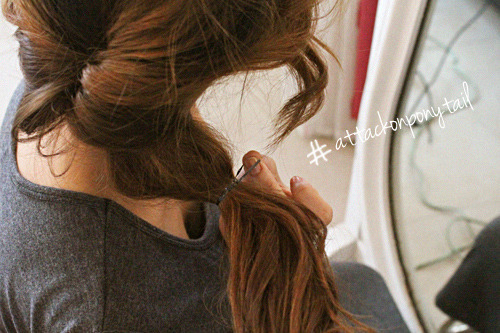 Now it’s time to…ATTACK THE PONYTAIL! Well, you can be less aggressive sounding like me and simply focus on the ponytail. 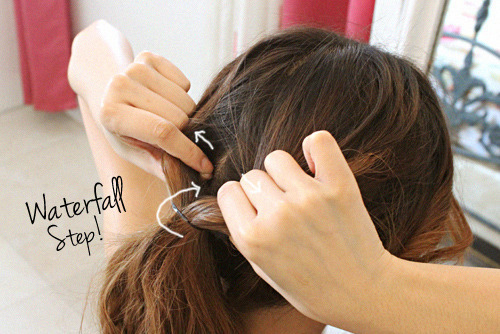 Basically you’re just going to repeat the Waterfall Step throughout the length of your ponytail ‘til you reach the end. 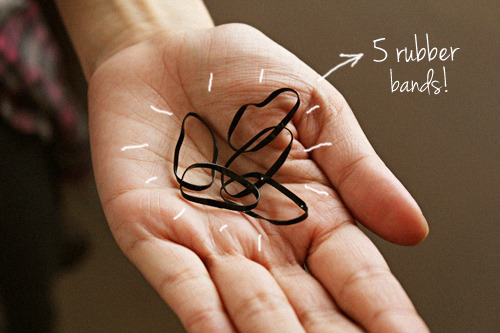 The white outlines represent where your rubber bands should go. 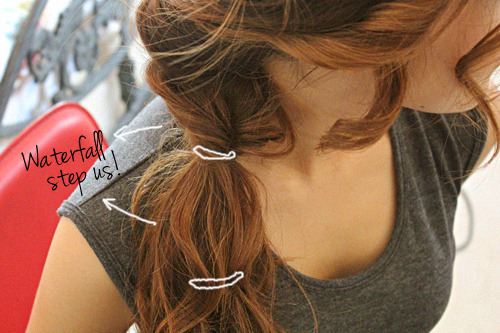 And from there on out, Waterfall Step each division of your ponytail. P.S. Where can I buy a copy of Candy’s latest Style Guide? 😉 AND I’m jealous of everyone watching The Killers tonight. Ahuhu!